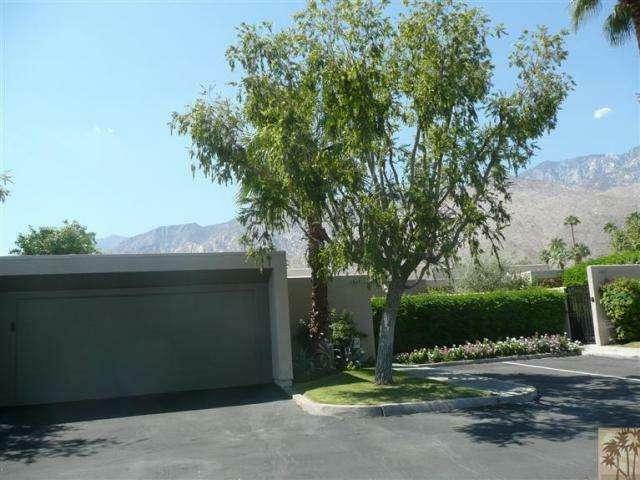 This condo is in highly desirable Canyon South 3 in the South end of Palm Springs. 2 bedroom, 2 bath, large redone kitchen, never used appliances,newer carpeting, roof recently replaced, master bath redone with glass tile, 3 patios, large greenbelt with unobstructed mountain views, 2 car attached garage. Community pool, spa and tennis court. Condo living at its best.